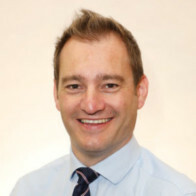 Jason Nicol, Head of Service at NHS Grampian / Aberdeen City Health and Social Care Partnership, becomes the 3000th Q member. Here he tells us about his improvement journey and why he joined Q. 1. Tell us a little bit about yourself and your improvement journey. While I was at International Forum a couple of weeks ago, I was really struck by one of the speakers who talked about introducing yourself from a more personal perspective rather than by titles which just reinforce hierarchy. So I’ll start like that: I’m married, I’ve got two children who are in primary school and nursery which takes up a good bit of time! I have worked in Grampian for 23 years, since I qualified as a physiotherapist (that was my original trade if you like!). I worked clinically for about six or seven years after qualifying and then went into a management role as the trust’s Moving and Handling Advisor for about ten years. Initially, this was sort of ergonomics but also broadened out into risk management and clinical governance. Then about ten years ago, I went on secondment to the hospital I’m based at now: Woodend in Aberdeen, a 230 bedded hospital a couple of miles away from the acute hospital. I became the manager for the rehab service and ended up as Head of Service for Specialist Older Adults and Rehab Services. This service is predominantly based at Woodend hospital and my main areas of responsibility are the geriatrician service as well as the acute hospital and the specialist rehabilitation service (including specialist rehab for stroke or rehab for neurological and some community brain injury and spinal injury services). I was craving something that would just help me to be more rounded and productive as a leader, so I applied and was accepted into the 8th cohort of Generation Q. About a year and a half ago, I became aware of the GenerationQ programme. I was at a point in my career where I was looking for something more. I had a sense that I’m fast paced and I guess I was craving something that would help me to be more rounded and productive as a leader, so I applied and was accepted into the 8th cohort of GenerationQ. My improvement journey to the point of joining GenerationQ had been knowing about the patient safety programme at a distance (I was aware of the prevalence of the improvement methodology that has been implemented in Scotland over the last ten years via the Scottish Patient Safety programme), supporting people to do bits and pieces of improvement but probably with quite a mechanistic view of process measures, and what can we do to make things a bit better, a bit faster. 2. What first attracted you to Q? The main driver to join Q, was to be able to connect with colleagues who are local to me but also to connect into the wealth of knowledge that exists across the UK. One of the key things that interested me about joining Q was as a sort of future plan for when GenerationQ ends. We are getting close to the end of the fellows coming together as one cohort, so at the last forum there was a discussion about how you keep the momentum going. We’re all trying to remain connected to each other as a cohort, but for example there are only two Scots (including me) on the programme. The other Scot is based in Ayr which is pretty much as far away from Aberdeen as you can get, so we are looking for ways that we can remain connected. I think there is a recognition that we are one cohort of GenerationQ and there are lots of other fellowship programmes of like-minded people across the UK as well. Having access to those like-minded colleagues would enable me to continue learning, sustaining and maintaining some of the things that I hope I am developing and learning from GenerationQ. So, ultimately, the main driver to join Q, was to be able to connect with colleagues who are local to me but also to connect into the wealth of knowledge that exists across the UK. 3. What are you hoping to get out of Q? Trying to spread some of the connections from being GenerationQ to the wider Q community that just gives something extra. 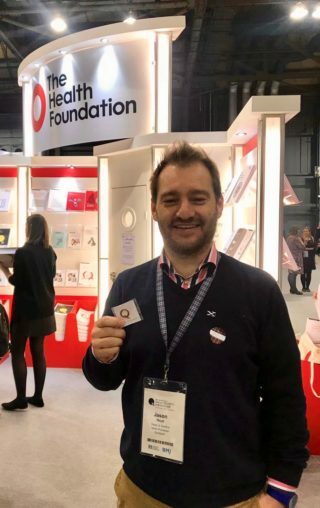 For me, it’s about maintaining connection and access, as well as the relationship with the Health Foundation that I’ve discovered through GenerationQ. There’s a lot of work going into the Alumni and keeping fellows connected through that route but I think that trying to spread some of the connections from being GenerationQ to the wider Q community just gives something extra. Something that springs to mind straight away (hot off the press of having been at Quality Forum!) is being comfortable in sharing vulnerability or indeed failure. I think that there is always a temptation in a gathering of switched on bods to exclusively share success or what has worked really well, but I’m really struck by the complexity of the area that we work in. We should be normalising when things don’t go well, how we can learn from that and encourage colleagues to feel a resilience in trying. I’m certainly more mindful about sharing what hasn’t gone well and what I’ve learnt from those instances because I think that’s something that’s really powerful in leaders – and I’ve got plenty of those failures to share with the Q community! I wrote in my application about a desire to give back and to support the growing Scottish Q community, or perhaps even more regionally to the north of Scotland. I’m not sure how many folk would be interested in that, but I feel a responsibility to give back in the same way that the Health Foundation has invested in me. I’m also really looking forward to joining the Special Interest Groups – particularly Joy in Work and Complexity. It’s great if there’s a particular area that’s of interest so that you can share how you can connect into those things, and I hope that I can contribute to those groups in the future as much as I take out. Jason, there is already quite an improvement community in the Grampian area, which extends beyond the NHS. :) Jenny Ingram at NHS Grampian, along with Sacha Will at Aberdeen City Council and Gavin Grewar at the Marine Lab have been thinking about some sort of NE community. I think it is great that there are so many people using improvement in different sectors which will really help with the sharing and learning.